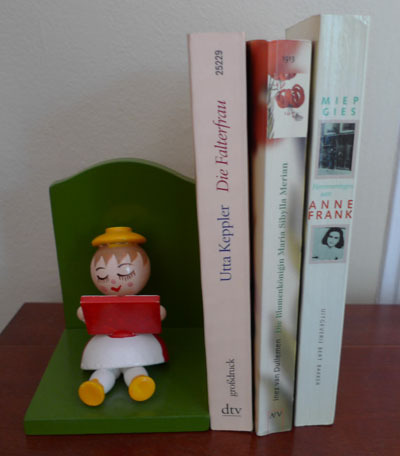 “I collect new books the way my friends buy designer handbags. 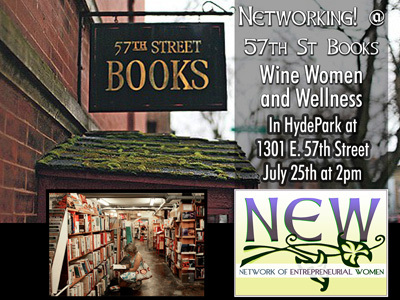 This coming Thursday, July 25, NEW is hosting its Wine, Women and Wellness event at a bookstore. It’s been a long time since I was in 57th Street Books, but I remember it being a wonderful, old-fashioned bookstore experience. If you are a bookworm, you definitely want to come and hang out with us that afternoon. You can RSVP on Facebook or our Meetup Group. 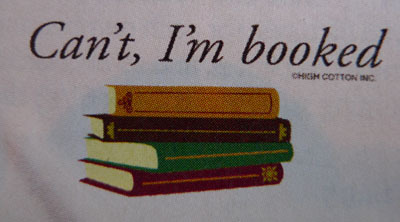 As a bookworm, I am having a hard time picking my favorites to share with the group. So I went through my quote books picked by how many pages certain authors filled with their wisdom, which turned out to be a lot of gutsy, entrepreneurial women. she had to become a savvy businesswoman. All have learned to ask for help and to offer it. To me, the ultimate gutsy woman I learned of in childhood was Miep Gies, the woman who helped hide Anne Frank in an Amsterdam attic. Anne Frank Remembered is her story. Since then, there has been a theme of reading about independent women throughout my life. From a more entrepreneurial perspective, My Life in France by Julia Child was a fantastic complement to the Julie/Julia movie when it came out. I love Julia Child’s sense of humor, and her groundedness as she details her journey to TV stardom. “I laughed. Me on television? Recently I completed Confessions of Madame Psyche which is a captivating novel about an Asian-American girl/woman set in Northern California from the early 1900s to 1959. I learned a lot about California History but also admired the entrepreneurial perspective of a family capitalizing on a young girl’s ‘psychic abilities’ and the business aspects that come with that. It is a great book to get lost in on a weekend. What struck me is that Mei-li has a variety of ‘careers’ throughout her lifetime, from being a psychic to literally joining the circus to other vocations (can’t spoil the story by listing them). I’ve written about Margaret Fountaine, a ‘spinster’ who was fascinated with butterflies and made a business of collecting them. Another entrepreneurial lepidopterist was Maria Sibylla Merian who traveled to Surinam on her own to research and draw tropical butterflies and other critters. I’ve read Kim Todd’s Chrysalis: Maria Sibylla Merian and the Secrets of Metamorphosis and Die Blumenkönigin: Ein Maria Sibylla Merian-Roman, with Die Falterfrau: Maria Sibylla Merian by Uta Keppler still on my shelf to be read. New Co-Founder Erica Thomas recommends Shiksa Goddess: Or, How I Spent My Forties by Tony and Pulitzer Prize winning Playwright Wendy Wasserstein. Another book Erica enjoyed is But Enough About Me: How a Small-Town Girl Went from Shag Carpet to the Red Carpet by celebrity journalist Jancee Dunn. I checked out A Lotus Grows in the Mud by Goldie Hawn on a whim, and was surprised at how much depth this actress known mostly for playing a ditz has on a personal level. I filled my quotebook with pages of her wisdom, and will borrow the book from my mom (whom I gifted it to) again for a refresher. then we can begin to enjoy the moment more fully. Dream Doll: The Ruth Handler Story was a captivating read about the story of Barbie as a business, with a variety of misadventures interspersed. I read it years ago so I don’t remember specifics, but it was enlightening. Crafting a Business: Make Money Doing What You Love profiles a variety of woman business owners in the crafting industry, which was very inspirational to me when I was still thinking of taking the plunge into a creative business from a corporate job. Since many crafty women aspire to be Martha Stewart, I have to put Martha Inc. on the list. It was a very insightful book, but not in a good way, unfortunately. Part of me wishes I could still be a Martha fan, but while I admire her ability to build an empire, as a person I do not aspire to make my way the way she did. Years ago I read Millionaire Women by Jeanne Torrence Hauer, which profiles 16 high-profile businesses including The Pampered Chef, Mary Kay Cosmetics, Lillian Vernon Company and Two Men and a Truck. In the pre-wikipedia age, it was nice to get insight into how long it took for these woman business owners to make it, but the book might be dated by now. 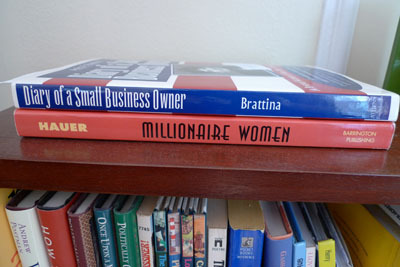 In the pre-blogging era, I also found Diary of a Small Business Owner by Anita F. Brattina insightful, taking us through her growing pains with an expanding company and employee management. Her company appears to be defunct now, so I am not sure if this is a good example anymore. Writing books is not as easy as it seems. it must be marvelous to be able to sit down and dash off sentences that read so smoothly. On a trip to Atlanta I was captivated by Margaret Mitchell and John Marsh: The Love Story Behind Gone With the Wind. It is a very long read, but I loved learning about the relationship between her and John (he was so devoted) and the “perspiration in quarts and the application of the seat to the pants to the seat of a hard typewriter for months and years” (John Marsh’s words) that went into gone with the wind. it is basically just a simple yarn of fairly simple people. There’s no fine writing, there’s no philosophy. nothing at all that made other best sellers best sellers. from the 5-year old to the 95-year old? A few other books celebrating gutsy women are shown here. Want to celebrate more women writers, perhaps for a whole year? Check out this blog from the UK. Stay tuned for a listing of recommended business books another time! 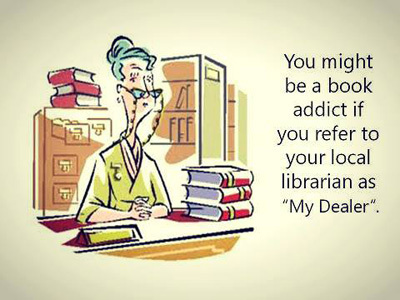 (Note: I am linking to Amazon.com for convenience, but I recommend keeping your LOCAL bookstore in business by ordering from there, or use your library for a more economical way to get your wisdom on–renewals let you keep books for up to 3 months). NEW – The Network of Entrepreneurial Women is an exciting, fresh group of Chicagoland business women who are upgrading business networking in the Chicago suburbs and beyond. Focusing on no nonsense networking, the group holds fun and creative events that inspire attendees to work together, refer each other and most of all cheer each other on as the membership succeeds together. The NEW art of networking involves semi-monthly events that remind us why we love being entrepreneurs, and introduces attendees to other radiant, inspirational women entrepreneurs as we form a community that is open-minded, focused and friendly. It’s BBQ season, join the next Meet & Munch! You always inspire me Time to reorganize my library!